It is both astonishing and insulting that, nearly three decades in, federal agencies and public health experts persist in denying and refusing to tackle our nation’s staggering autism epidemic. With typical dismissiveness (and a straight face), one group of pediatric researchers recently had the temerity to put the word “epidemic” in quotes while endorsing the charade that the rising prevalence of autism is attributable to broader diagnostic criteria, increased awareness and “the inclusion of milder neurodevelopmental differences bordering on normality.” The government’s own surveys—as well as parents, school systems and municipal budgets—tell an entirely different story, however. 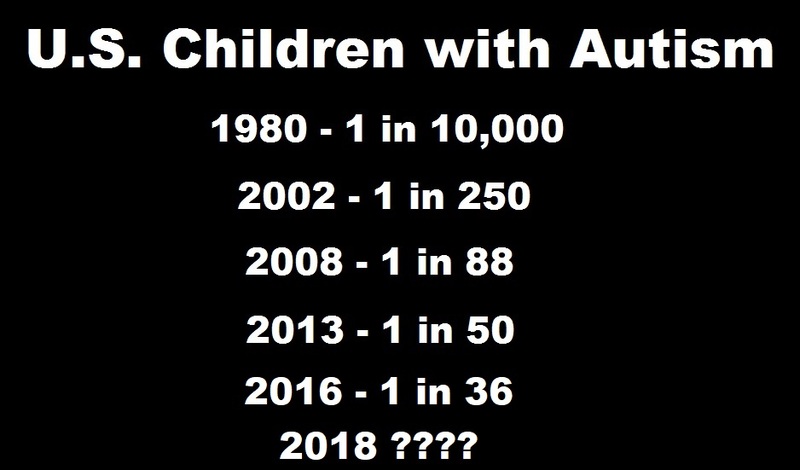 Autism spectrum disorders (ASDs) began skyrocketing in the late 1980s, concurrent with a massive expansion of the childhood vaccine schedule and a corresponding increase in children’s exposure to neurotoxic vaccine ingredients such as mercury and aluminum. Over the years, many of the CDC’s bulletins about ASD prevalence have placidly reported that “ASDs are more common than was believed previously.” However, the continued dramatic rise in ASD prevalence and autism’s heavy burden on individuals, families, schools and wider society call for a far greater sense of urgency. Autism must be recognized as a national crisis. As of this writing (April 2018), the CDC is due to release its latest ADDM surveillance numbers. Will our federal health agencies continue to downplay the numbers’ significance, as they have done each time the data show a rise in ASD prevalence? Or will they finally sound an alarm and make it a top priority to find out what is causing this epidemic in our children? No one—and not least the agencies that are supposed to be looking out for children’s best interests—can afford to be complacent any longer about this unjustifiably neglected public health emergency.